For the rest of you; a few thoughts. Ever since taking a module on the subject at university, I’ve had a vague interest in voting systems. It’s always struck me as odd that political candidates can be elected, or awards be distributed, when the majority of the population doesn’t vote for them – a common problem of first-past-the-post elections. 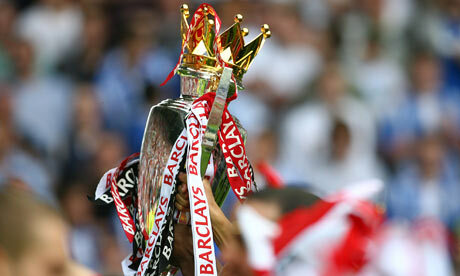 For a football example, take the Premier League’s vote for Goal of the 20 Seasons Award. Wayne Rooney won the poll with 26% of the vote, meaning that 74% of people didn’t think his goal was the best of the shortlisted strikes. If second, third, fourth etc preferences were accounted for, would Rooney’s goal still be the most popular? Quite possibly. However, it’s also possible that a lot of Arsenal fans were split between Dennis Bergkamp’s goal against Newcastle and Thierry Henry’s against Man United, which led to these goals being voted second and third with 19% and 15% of the vote respectively. With this reasoning in mind, I’ve taken an interest in trying to understand which club is the most popular Premier League team. Manchester United may have the most fans – a rather dubious 659 million by one count – but the odds are that they are probably one of the most disliked teams in the league, on account of being close rivals to a number of clubs. Indeed it might be that a club like Swansea, Fulham, Newcastle or Southampton are in fact the most popular team in the league once you begin to account for 2nd, 3rd, 4th preferences. I’ll happily admit that this is nothing more than a trivial exercise; after all it’s only really the first preference that matters (who buys replica shirts of their 5th favourite team?). It might even get you thinking. The system of ranking doesn’t account for the ‘level’ of preference for each of the teams. That said, the results will hopefully be of interest and the system repeatable for awards such as the Ballon D’or or other online votes. ← Are England international football’s most consistent team? I follow your blog since few days. I have to admit that I’m impressed of your professionalism. I’m also fan of Man United so thank for great news. I am responsible for contact with media and publishers in Sporticos.com.